The New Raspberry Pi Zero. 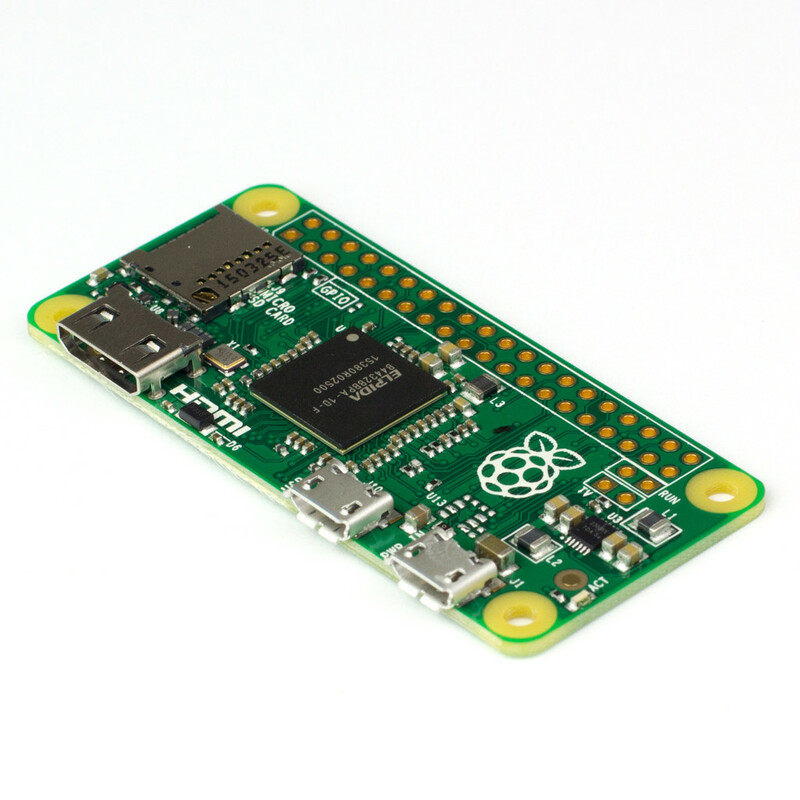 The Raspberry Pi foundation has released the new Pi Zero, which comes in at an absolutely amazing $5 price. They are of course totally sold out so I can’t get my paws on one yet, but even so I know this is going to be amazing. I was excited about the size and cost of the model A+ which was $25. Now the tiny size of this new one opens up new avenues of creativity. The size is what I am all exited about, the price is just a nice bonus. I was planning to do a keyboard computer conversion using a model A on a Apple IIGS keyboard, but now I think I will wait and get my hands on a model Zero for the conversion. In some ways the Model Zero makes the project even a little less impressive since it is so small. I am glad they didn’t populate the GPIO pins on this one, I had to de-solder the pins on one of my last projects, and I like that I can wire directly to the header with this one. The Pi foundation has been very successful in promoting their single-board computers as learning tools for kids (or really anyone) getting into computers. They are low-cost and have an easy learning curve, so people who might otherwise be intimidated can start making things and experiment with programming and making electronics.. I am very impressed with what they have done. This little micro board computer is vastly more powerful than my first computer: The ATARI 1200XL and it is smaller than a credit-card. Truly amazing, I can’t wait to get one and start playing!